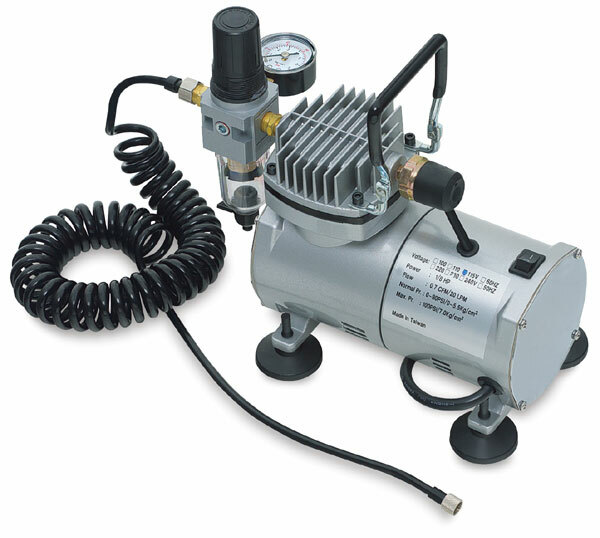 Whisper Aire's 1000 series compressor offers the airbrush artist a fully featured, low-noise compressor that's portable and compact. Its oil-less operation means no maintenance. It's a pleasure to use, with a sound level that's barely above a whisper.